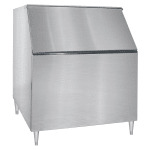 The Kold-Draft KDB950D ice bin has a 950-pound storage capacity with a stainless steel exterior that resists scuffs and abrasions. It is insulated with polyurethane foam to retain temperatures. For corrosion and stain resistance, polyethylene lines the interior walls. This bin has one sturdy lift door that endures continuous use. It has a gasket that seals cold air inside, keeping ice cold. 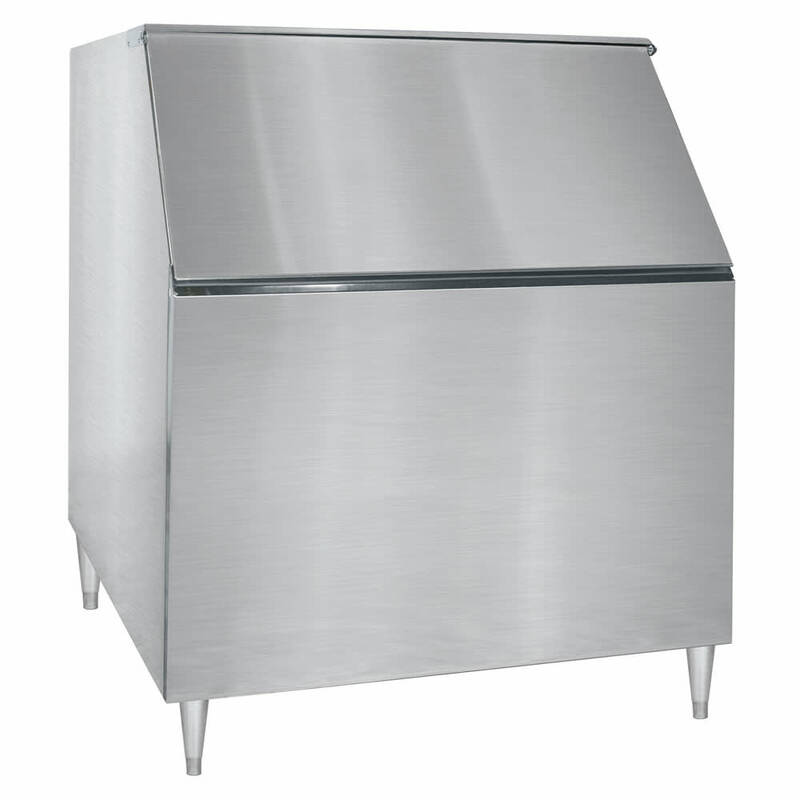 For convenient access to the interior, the Kold-Draft KDB950D ice bin has a large door opening and a low door sill. It has 6-inch legs to elevate the unit. Check out our ice machines buyers' guide to learn more about which units are right for your operation.